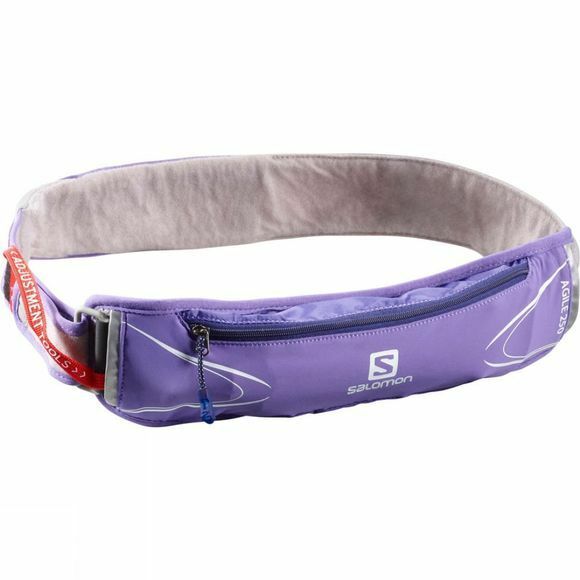 Ideal for any running situations where you want maximum agility and functionality, the Salomon Agile 250 Belt Set features the one-size-fits-all adjustment that makes it easy to select and fits small waisted runners. Super stretch, it stays comfortably in place even when you bounce or jump and provides easy access to 500-millilitre soft flask hydration and essentials. Perfect product for training in the city or the mountain.